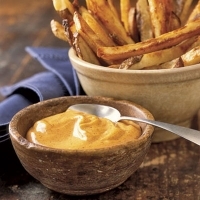 Homemade french fries with a spicy mayo dip. Double or triple recipe for more servings. Serve on game day or as a side with burgers. Toss potato strips in olive oil, sprinkle with salt,pepper and spices of your choice. Bake at 425 for about 30 minutes. Mix all ingredients together and serve in bowl. The dipping sauce sounds great - and love the baked fries...hope to try this one soon. Thanks! Great Recipe,like curry,this one is a keeper! Hope you and your family have a good Sunday. You know, I've been wondering about something different to do with taters, and how could I forget about FRIES?!? These sound so good! Tha picture looks amazing! 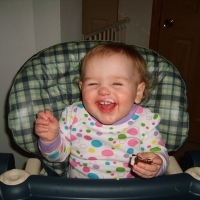 The dip sounds delish, and I like it that the potatoes are baked, not fried! great game day food too!